It seems the old SEO question of whether or not it’s OK or not to publish content on a subdomain is having resurgence. I’m assuming it’s a hot topic again due to the mad push by companies to engage in content marketing. And I’m not saying content marketing isn’t the right tactic for most (almost all) businesses, but what I think is happening is the rush to publish is trumping the idea of publishing correctly. I’ve fielded this question from several clients lately in one form or another. The content below is an outline I prepared for a client (redacted), with my recommendations. I thought it might be useful to share with site owners and marketers. Many in the SEO space have probably watched the recent Whiteboard friday from Moz, but I highly recommend anyone in marketing watch the video. It’s also my assumption this topic remains due to some marketing automation software offering publishing platforms that post content to subdomains. It’s much easier technically to publish third-party software on a subdomain. Hubspot comes to mind, and I know one client weighed the whole “Hubspot vs. WordPress” debate. For as great as Hubspot is for marketing automation, they’ve always struggled with this fine detail. This happens to be incorrect. More links isn’t always best. Natural diversity is what the engines want to see. Only works on extreme long tail. Blended results (local, video, social) have typically taken over this space. Depends on the brand, and topics being targeted. Easier to implement a subdomain property than a subdirectory. Data suggests otherwise. See the Moz video. Historically, Google has treated these as (essentially) unique websites, without the benefit of domain authority passing between each. Why publish all content on your main domain? The long-term benefits far outweigh the short-term traction, and ease-of-use of a subdomain or microsite. When possible, it’s always recommended to publish content on your main domain utilizing subfolders to categorize content. Unless you are a top-tier consumer brand (Coke, Apple, McDonalds), with an unlimited budget to dedicate to marketing a microsite, the branding benefits are negligible. Domain authority is the metric widely used by SEO and digital marketing professionals to demonstrate the SEO value of a website. 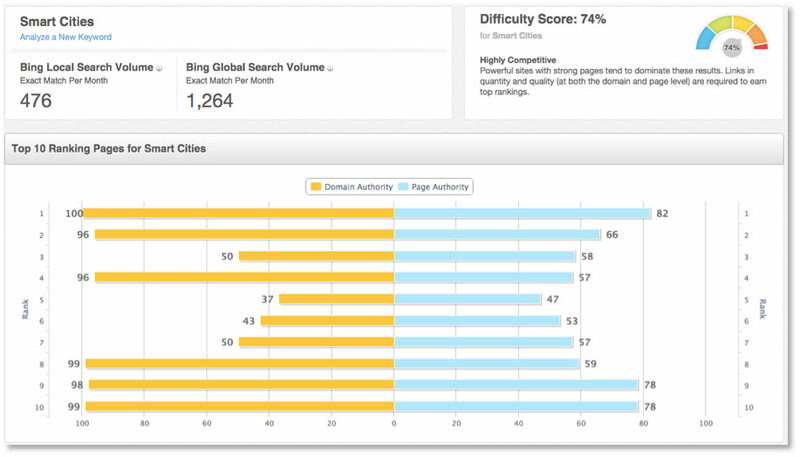 All authority metrics (Moz and other services) are modeled after the original Google Page Rank algorithm, which measures the number and quality of inbound links pointing to a domain. In essence, a link is seen as a “vote of confidence” from one website to another. The more links you receive from other highly authoritative websites, the higher your domain authority rises. Page Rank (or authority) is logarithmic, meaning it is far easier to grow from 1/100 to 10/100 than it is to grow from 10/100 to 20/100. By default, all new domains begin with (essentially) the domain authority of 1/100. 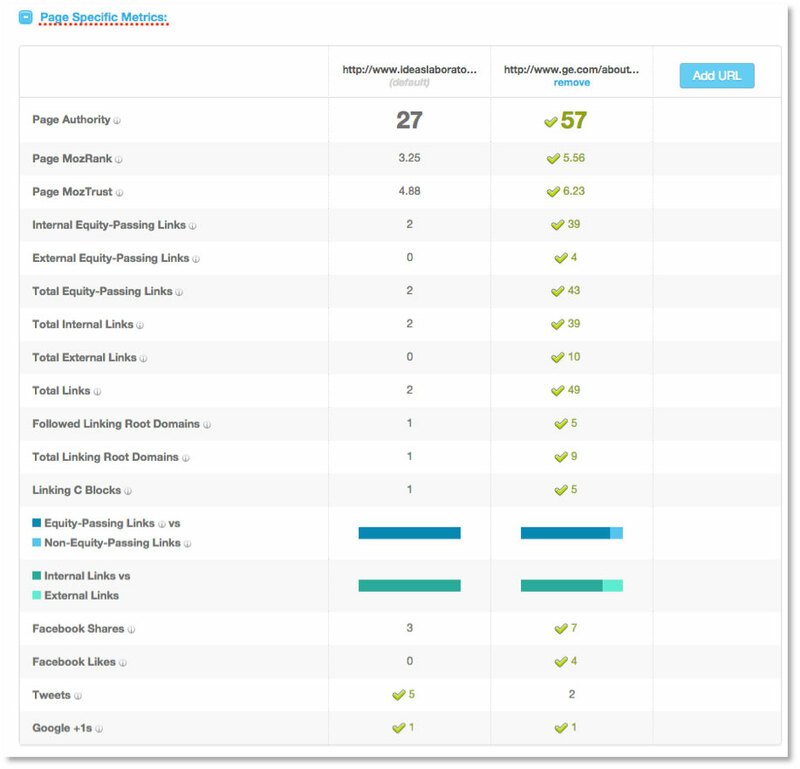 Each page on the new domain begins with a page authority metric of 1/100. These metrics can rapidly build through the teens and twenties, but growth begins to taper off due to the logarithmic nature of the ranking algorithm. The level of effort needed to raise the authority of a new domain is immense, so brands are better off focusing on their core domain, the content on their site, and the external ranking factors of one domain. A microsite has the potential to earn many external links for itself, and also to send many inbound links to the core domain. The issue is Google isn’t looking for link quantity; they are far more interested in quality. If a microsite with a domain authority of 30/100 sends 100 links to my main website, that’s not as good as 3 external domains each with an 80/100 authority sending 3 total links to my website. Often a microsite is hosted through the same provider as a core domain, leaving it with the same hosting information (IP block, C-block), which Google considers in analyzing diversity. Winning external PR mentions with links to your core domain content is almost always a better long-term tactic than microsite links. Again, this depends on the brand, but unless your brand is a household name, outside of the ease-of-use for publishing, there isn’t any clear benefit to launching a microsite. Maintaining multiple sites splits the marketing efforts of internal and external marketing teams, and splits the SEO value between each domain. Top-tier consumer brands can leverage a rabid fan base built on the branding benefits of their product or service. Consumers are naturally brand advocates, and that’s powerful. They aren’t concerned with domains and don’t notice the detached online experiences because the brand loyalty is so strong. REDACTED COMPANY’s reputation is tied directly to their involvement in positive/favorable project news. Any diversion from that connection dilutes the brand perception with the general public. Is your brand facing this debate and you’re not sure which way to go? If so, I hope you consider the recommendations above; it’s almost always better to go this route than to have your content on an external site or subdomain. Let us know what you think in the comments section below, or on Twitter. Thanks!